Bollywood producer Boney Kapoor turns 63 today and he rang in his birthday with family. Bollywood producer Boney Kapoor turns 63 today and he rang in his birthday with family. 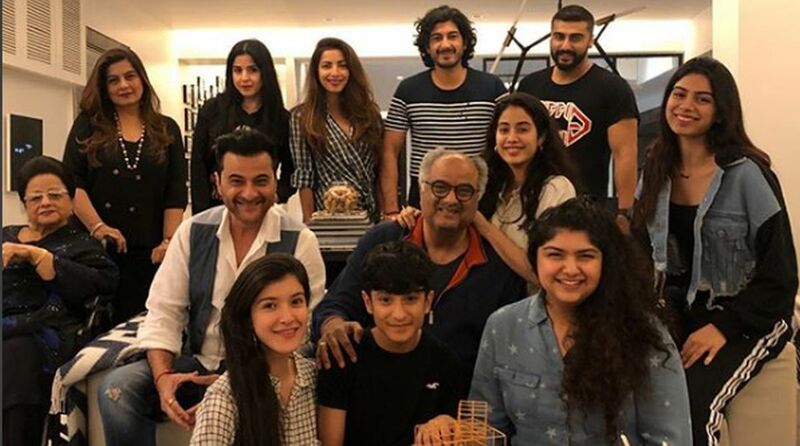 His son Arjun Kapoor, daughters Janhvi Kapoor and Khushi Kapoor and other family members Anshula Kapoor, Sanjay Kapoor, and Mohit Marwah among others, were seen during the celebrations. Anil Kapoor and family were not present as they were in London to celebrate Harshvardhan Kapoor’s birthday. Boney Kapoor has produced films like Woh Saat Din, Pukar, Mom, Wanted, No Entry, among many more.